Description: View picturesque property and meticulously groomed gardens overlooking the watchung reservation from beautiful kit bay window. 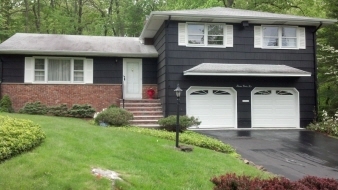 Spacious split level lovingly maintained by original owner...Features: - Cherry kit cabinets. New: furnace, garage doors, shutters, front steps and railing. Newer ac. Work bench in basement. Gorgeous property in desirable neighborhood. Hardwood floors under carpets on main and upper floors. Washer, dryer & refrigerator included. 2 car over sized garage. 3br, 2.5 bath home. Great schools! 5 mins to surprise lake & union county nature ctr. And nyc trains. 10 mins to overlook hosp. 25mins to newark airport. Low taxes!